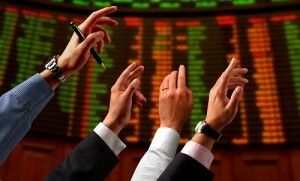 Qatar Stock Exchange index dropped 81.49 points or -0.78% when it closed at 10,418.47 points on Monday. The daily turnover decreased to QR 235,298 Million with a volume of 5,037,663 shares from 3,269 deals compared with QR180,282 Million with a volume of 4,234,437 shares from 2,645 deals on Sunday. The market capitalization decreased to QR 548,832 from QR 552,113 registered today, while Indices of three sectors ended in green and four ended in red. Industrials sectors down to -0.68% to 3,124.95 points, while Banks & Financial Services sector added +0.17% to 2,814.99 points QSE Total Return Index dropped -0.78% to 16,194.02 points. QE Al Rayan Islamic Index decreased -1.16% to 3,853.47 points. From the 43 companies listed on QSE, shares of 40 saw trading today, from these 11 gained, 26 dropped and three remained unchanged today.